Passion Pictures and HHMI Tangled Bank Studios present one of the most important but untold science stories of our time—a tale with profound implications for the fate of life on our planet. Beginning in the 1960s, a small band of young scientists headed out into the wilderness, driven by an insatiable curiosity about how nature works. Immersed in some of the most remote and spectacular places on Earth—from the majestic Serengeti to the Amazon jungle; from the Arctic Ocean to Pacific tide pools—they discovered a single set of rules that govern all life. Now in the twilight of their eminent careers, these five unsung heroes of modern ecology share the stories of their adventures, reveal how their pioneering work flipped our view of nature on its head, and give us a chance to reimagine the world as it could and should be. 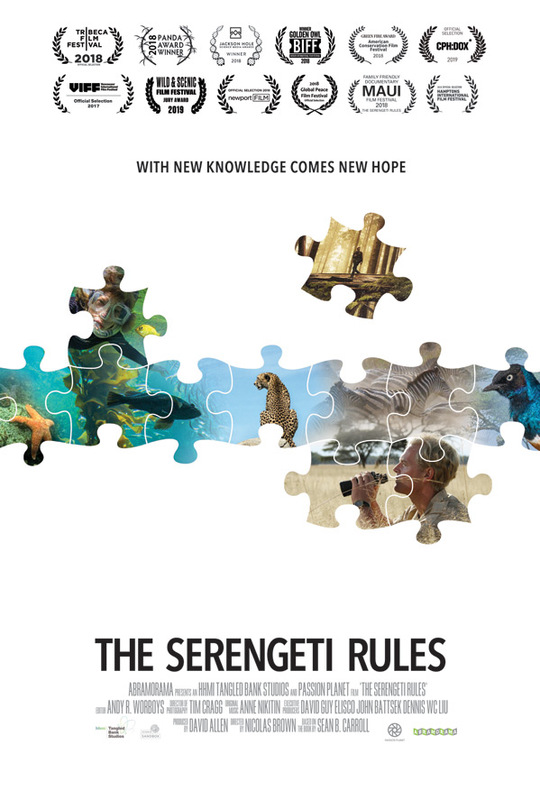 The Serengeti Rules is directed by filmmaker Nicolas Brown, his first theatrical documentary after making numerous nature docs for TV previously. This premiered at the Tribeca Film Festival last year. Abramorama will open Brown's Serengeti Rules in select theaters starting May 10th. For more, visit the official website.